The old Allegheny County Jail building sits are the corner of 5th and Ross Streets was designed by architect H. H. Richardson. This jail and was part of a larger complex designed by Richardson and built between 1884 and 1886. In 1995, Allegheny County built a new jail, (the one over by the Allegheny River that you have probably biked past on the Eliza Furnace trail, which most Pittsburghers refer to as “the jail trail”). After the new jail was built, the old Allegheny County jail was converted to house the Allegheny County Court of Common Pleas Family Division. 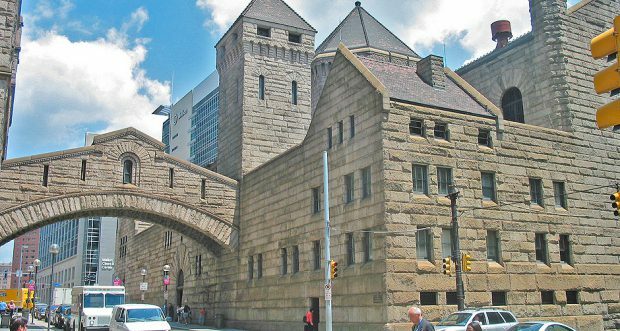 The Old Allegheny County Jail Museum is open on Mondays from 11:30am-1pm. Docents from Pittsburgh History & Landmarks Foundation are on hand to tell you about the place and get you started on the self-guided tour. Enter on Ross Street or through the great courtyard arch on Fifth Avenue. This is a courthouse, which means you will have to go through the security screening to enter the building. There is no photography allowed in the building. Allegheny County Courthouse and Jail – extensive website created by an economics student. Site has not been updated recently, but contains several posts and many photos of the building. 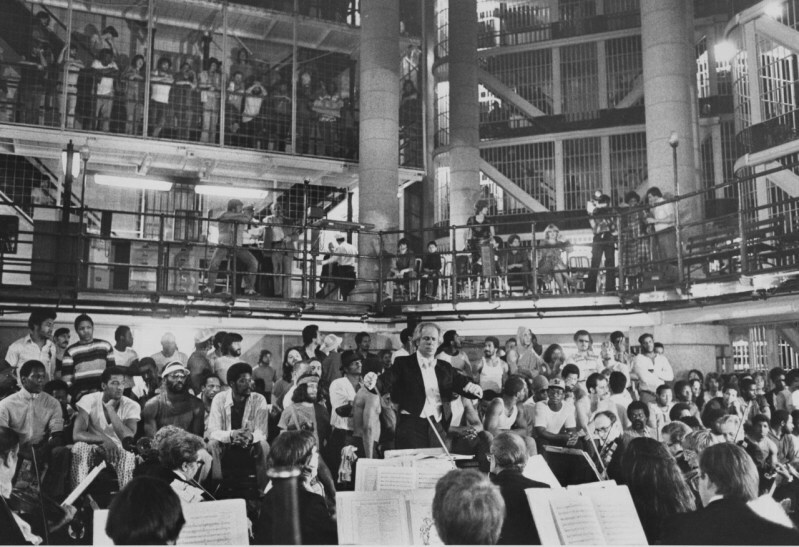 “PSO rocks the jailhouse“, Post-Gazette, The Digs – one of the only interior photos I could find was this story on the Post-Gazette’s archive site, The Digs, about the Pittsburgh Symphony Orchestra playing a concert in the jailhouse in 1979. Record # 5 – Allegheny County Courthouse & Jail Presentation Drawings, Pitt Archives Service Center blog – architectural drawings and photos of the courthouse.